Inyali Peter, blogger and active user of the social media, has described his alma mater, Cross River University of Technology (CRUTECH), as “an orphan in a government of two professors”. He gave this description yesterday on his Facebook timeline. Blogger Inyali Peter raised an alarm about the condition of the university, stating that: “CRUTECH staff are suffering. The institution may witness mass exodus of staff very soon because of unpaid salaries and staff earned allowances”. Inyali Peter, blogger and activist. He stated that CRUTECH deserves to benefit from the Federal Government’s release of cash to states through bailout funds and Paris Club Refund, for the purpose of paying workers’ salaries. Indeed, Cross River State is the only State that has two Professors at the helm of government, amongst Nigeria’s 36 States. Professor Ivara Esu is Professor Ben Ayade’s deputy. The State Governor, Professor Ben Ayade, lectured in Delta State University before he delved into politics, while Professor Ivara Esu lectured at the university of Calabar where he rose to the exalted position of the university’s Vice Chancellor before he joined Nigeria’s political train. 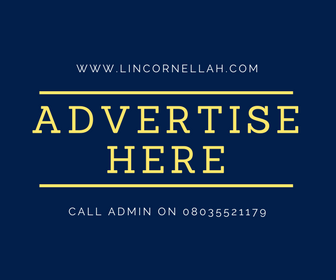 LinCornellah’s blog has confirmed that staff of the university received September’s salaries this week. October’s salary is still being awaited. This blog has also confirmed that the government of Cross River State has increased its subvention to the university, as stated by Betty Oriflame Beshel. However, feelers from that institution indicate that the university’s branch of Academic Staff Union of Universities (ASUU) is set to resume a strike action over unresolved issues with the Cross River State government. Those issues mainly arise from the welfare condition of staff as well as learning facilities in classrooms, studios and laboratories. A reliable source in that university informed this blog that academic staff of the university have not received Earned Academic allowances, contrary to ASUU’s 2009 agreement with government. That source disclosed that a meeting of the university’s branch of ASUU is slated for Wednesday, 8th November 2017. According to the source, ASUU’s National Executive Council’s directive on the proposed strike is the only item in the agenda of that meeting. Meanwhile, Governor Ben Ayade of Cross River State has reportedly stated that most university students and graduates, especially those in science related courses, have no practical experience in order to make meaningful contributions to Nigeria’s development.